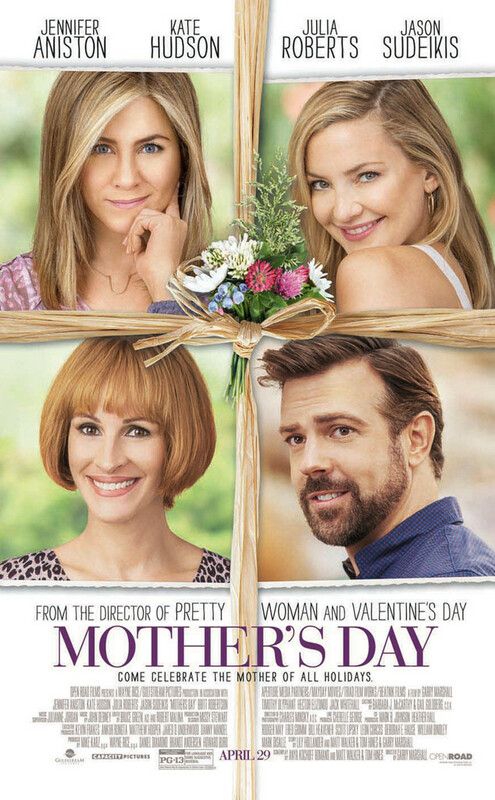 The Fanboy SEO is back to do a review for the film Mother’s Day which stars Julia Roberts, Jennifer Anniston, Kate Hudson, Jason Sudeikis and a whole lot more. Now Showing! Following the trend of other occasion movies, Mother’s Day wants to talk about relationships and about mothers in general. Their sacrifice, love and all that for their children. It really does want to talk about that but its written so far from it that you can see the actual story try to hit those spots on the way out and majestically do a near-miss. Its like you put all these actors together give them random lines and by the third act you remember that there’s a moral lesson and you rewrite the script AND follow continuity making it a weird mess. That’s how Mother’s Day was for me. No problem with star power too as they’ve got a lot of talented actresses here including Jennifer Aniston who shined bright here as well as Jason Sudeikis. Julia Roberts did so little I’d hardly call it a starring role and Jennifer Garner was a flashback. The younger cast here also seemed great but it does little to reinforce the thinking that Mother’s Day was a way to rake in money just in time for that special day for mothers. To be fair though, Mother’s Day was funny and had its moments. There were a few endearing scenes but its too Hollywood to happen in real life. I also laughed more than I should in the scenes involving Hudson’s conservative parents meeting their children’s respective spouses. Up to this point though, I still can’t fathom whether it was a brilliant idea to have those subplots or if it was Hollywood just wanting to cater to viewers who now look for “diversity” in cinema. If you ask me, I’d say Mother’s Day is decent and I’ll leave it up to you to watch it or not. Watch it then you’ll have a good time but you won’t miss anything if you don’t. There’s barely any take away here though or if there is, its been tackled better by other mom-centric movies comedy or otherwise. Special thanks to OctoArts Films International for the passes.